The graduation parties are over and anticipation is building for college-bound freshman and their families. 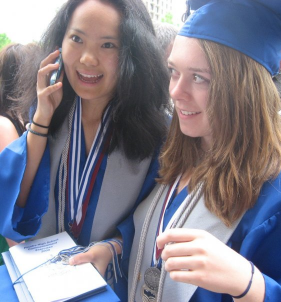 The summer before that freshman year includes an orientation trip to the school, compiling lists of what to pack, and, for the students, spending as much time as possible with high school friends. Parents, however, are wondering how their teen will adjust and adapt. And while they wonder, parents should plan a “college expectation” talk with their teen. 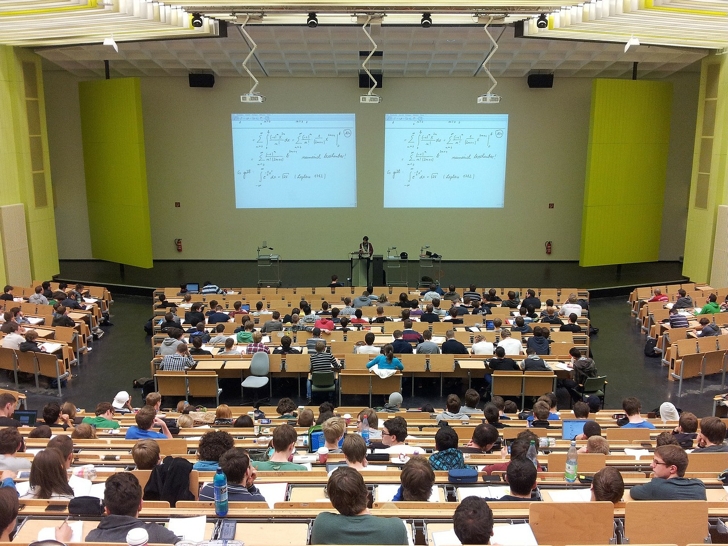 Expectations play a big role in college success. Unfortunately, many parents have not made clear what they are expecting from their son or daughter once they land on a college campus. In fact, some parents may just assume their teen knows the expectations; that assumption can lead to problems if the details are not discussed in advance. Plan an expectation talk to have with your college-bound student and include three basic areas: financial, academics, and social behavior. 1. Most families will have discussed how they are going to pay for college, and have determined who will pay for tuition, fees, books, and room and board. However, there are many other costs to consider. Will your student have a car or a bike? Who pays for it? Who pays for: trips home on weekends or holidays, ordered-in pizzas, coffees between classes, ski weekends, Greek life membership, concert and movie tickets, spring break trips, even makeup and haircuts? Make it clear. 2. Some parents believe that if they are paying for all or part of college costs, that they have a right to set academic expectations. Are there certain majors or classes that you refuse to fund? Do you expect your student to achieve certain grades and what is the consequence if she doesn’t? Keep in mind that parents do not receive copies of grades like they did in high school. FERPA (Family Educational Rights and Privacy Act) prevents schools from giving out any information about the student, including grades, behavioral or health issues, or even citations received for illegal activities. It makes no difference if you are paying tuition and fees—you only have access to your student’s information if he or she grants it to you. 3. The part of college that teens most look forward to is making decisions about social activities without parent restrictions. Although parents cannot—and should not—control those decisions, they should discuss what will happen if their teenager finds himself in trouble with law enforcement. Again, because of FERPA, there is a good chance parents won’t hear about the trouble unless the student feels it is time to involve mom and dad. Such a time might involve multiple arrests, being kicked out of school, or a serious medical emergency. Set a date for this expectation talk, be open to your student’s input, and write out and maybe even sign what is agreed upon. Problem solving is easier if expectations are clearly outlined before the student calls home with a problem. It is important to let your student know that she can always call home no matter what—even if she did not stick to agreements. If he understands all expectations before you leave him at the dorm parking lot, he has a better chance of succeeding in and enjoying his college experience. P. Carol Jones is the author of “Toward College Success: Is Your Teenager Ready, Willing, and Able.” Visit www.towardcollegesuccess.com to read excerpts and to follow her blog. Ferah Aziz is a college coach with launchphase2. Visit www. 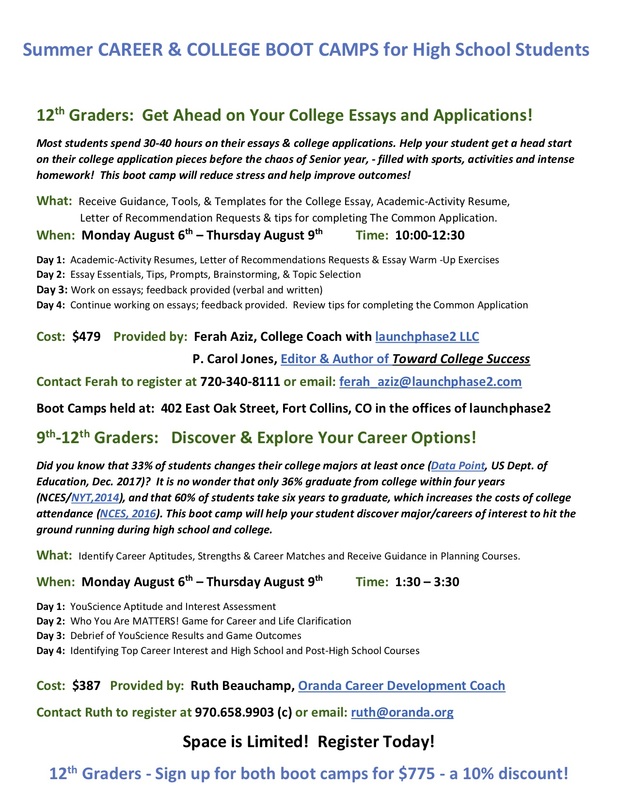 launchphase2.com or call 720-340-8111 to learn more about coaching for college bound students, and success coaching for college students.